Time Lord con artist Drax is the latest old acquaintance to re-acquaint with Tom Baker’s Doctor, as well as Lalla Ward’s Romana, as he draws them into his latest scheme. Under the employ of wealthy businessman Charles Kirkland, Drax and the Doctor must travel to Altrazer, a city lost in time, and steal the hidden secrets of Kirkland’s rival. The idea of Altrazer as a kind of “temporal Atlantis” is a great plot device; our heroes find themselves caught in a maelstrom of all the planet’s potential futures, caused by Time Lord technology. And yet as the plot develops, this element gives way to a number of twists revolving around Drax and his machinations, leaving the Doctor and Romana questioning who the mastermind of this scheme really is. To say too much about these twists would be to spoil the fun, but fun is what they are. Dorney’s highly imaginative script offers playful takes on what we know about Time Lords and packs a lot into the play’s one-hour running time without ever becoming convoluted. 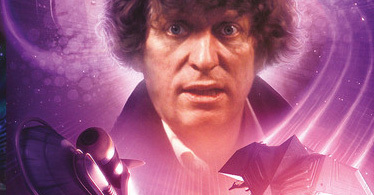 The Trouble with Drax is a perfect mix of comedy crime caper and offbeat time travel adventure and is one of the highlights of this Fourth Doctor series. It’s the first time Drax has appeared in a Big Finish audio, but by the end, you’ll be crossing your fingers for the Time Lord wheeler-dealer to return sooner rather than later.